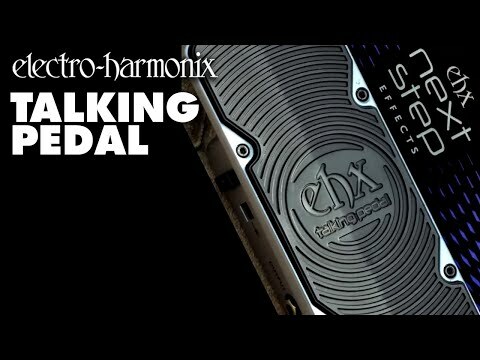 The Electro-Harmonix Talking Pedal is designed to bring vocal expression to the guitar player and uses the proprietary design shared by all of EHX’s Next Step Effects. It features the same smooth rocking chassis that’s super rugged and delivers lightning fast control. Bypass switching is completely silent. The Talking Pedal is also free of the moving parts that plague other pedals, parts that wear out and require replacement. Like a wah wah, the Talking Pedal is a rocking filter-type pedal, but the similarities end there. The tone of the pedal is unlike a traditional wah’s because it passes the guitar signal through two bandpass filters that give the tone a male vocal quality and create a selection of vowel-like sounds. A specially designed, fixed, fuzz circuit can be blended in with a scroll wheel located on the side of the pedal. This enhances the definition of the effect and adds growl and grind to the pedal. IK Multimedia has announced it is now shipping its iRig Stomp stomp box guitar interface for iOS devices. Guitar and bass players can now integrate their favorite iOS signal processing apps into their existing live pedalboard setup, for enhanced tone shaping and effects processing using an iPhone/iPod touch or iPad. 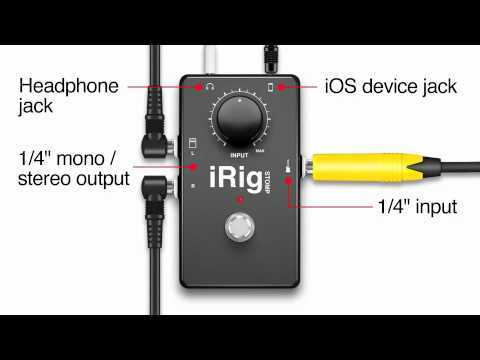 iRig Stomp is based on the AmpliTube iRig interface. It is compatible with any iPhone, iPod touch or iPad guitar amp or instrument app.